Located off Chappells Dairy Road, Somerset Pet Lodge is a safe, welcoming place for doggy daycare in Pulaski County. Owner Angela Lopez and her staff provide thoughtful care that helps your pet feel right at home while you’re away. Their state-of-art facility has been carefully designed by long time pet owners and offer a full menu of quality lodging and grooming amenities at prices you can afford. 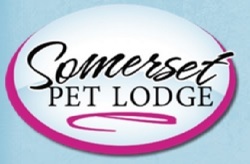 If you’re heading out of town for a week or just want to treat your pet to a luxurious fun-filled day out, Somerset Pet Lodge is the perfect environment designed to treat your pet to a royal experience. Area residents and business owners are encouraged to drop by, meet the staff and get a tour of the lodge during normal business hours. Contact Angela to schedule your pet’s visit today at 606-676-0011.